Ayia Napa is surrounded by gorgeous crystal clear seas and going on a boat party is a must do for any lively Ayia Napa holiday. If you want to party on board then there are a couple of party boat options for you to choose from. 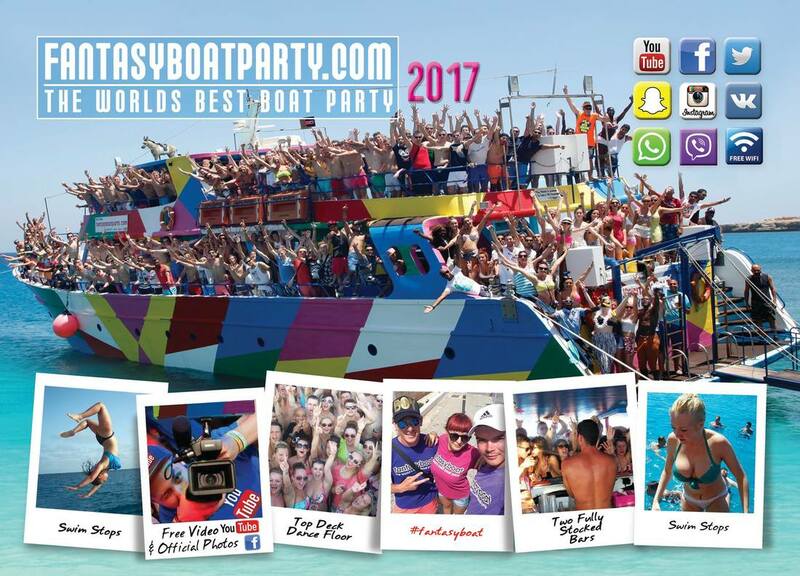 Sailing almost every day from April to October, Fantasy Boat Party has been running since 1993 and is legendary among the Ayia Napa must do events. Featured on TV and in numerous newspapers, Fantasy is notorious for its rowdy off shore party and riotous misbehaviour. Led by the corruptible cop Constable Cruise and hosted by Napa favourite Marshall, this is one trip you won't forget in a hurry. A tasty chicken dinner is included as well as swimming stops and entertainment.